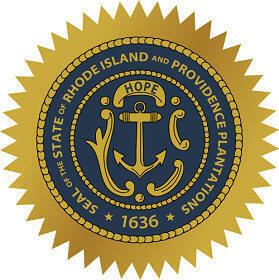 The Rhode Island state seal identifies government buildings and officials and is a centerpiece for the Rhode Island state flag. The symbolism, history and emblems of the seal are described in this article with fast facts and information. 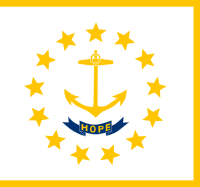 Fact 3: The anchor with the word "Hope" above it was first adopted in 1664 by the Rhode Island General Assembly for the State of Rhode Island Providence Plantations. A garland of leaves surrounds the shield which holds the anchor and around it all are the words "Seal of the State of Rhode Island Providence Plantations 1636." 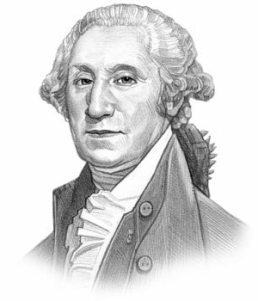 Roger Williams (1603 - 1683) was a supporter of religious freedom and the word "Hope" is drawn from the Bible and the words of Roger Williams to the early Rhode Island colonists: "Hope in the Divine." 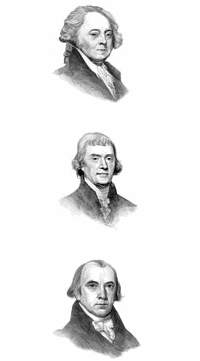 The Rhode Island seal is kept and used as required by the Constitution and laws of the state. This is an early flyer with the 1876 design of the seal. The flyer has an image of the Newport Tower, a round stone tower located in Touro Park in Newport, Rhode Island. Newport Tower is a medieval design and there are many theories regarding its age and construction. The picture of the boat clearly resembles a Viking ship - but manned by Native Americans. This appears to reflect the theory that descendants of Scotsman Henry Sinclair may have reached North America in 1398, a in Viking style ship, and directed construction of Newport Tower in Rhode Island.